Preparations for construction of the first lead mine in BiH after 30 years are taking place for almost 4 years, and the international group “Mineco”, which is investing more than 17 million BAM in the project of lead mine in Olovo, is planning to open 250 workplaces. The opening of the mine in Olovo would bring 250 new workplaces to this predominantly wood processing community. Due to the fact that a single mine has not been opened in the past 30 years, company “Mineco” is investing in the development of the profession through staff education. “We are currently training workers without previous experience in various mining occupations such as hole digger, mining technician and skilled driller, in order to adequately respond to the needs of the mine as soon as legal conditions for the start of works are created,” said Ismar Sabovic, the Director of Geomet Ltd., which is leading the process of opening of the lead mine. 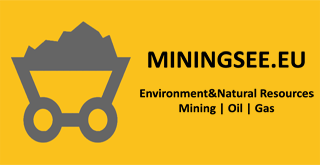 According to him, the mine is a long-term investment and requires a systematic resolution of staff training since it has the potential of exploitation for the next 30 years. On the trail of these investments in human resource development is the idea of cooperation with the University of Tuzla where would be organized formal training for interns in other mines in order to achieve both theory and practice. Sabovic emphasized the importance of the mine for the local community, since its opening will open four direct employment opportunities for every employee in the mine, which will ultimately have a significant impact on long-term development of the local community in Olovo, as well as for the country through taxes at all levels. Moreover, the complex process of obtaining all necessary permissions for opening of the mine is currently in progress and these days is expected the Urban Permit, which is a precondition for further actions that will ultimately lead to the opening of the mine, for which exist concession until February 2017.